Monte Urgull is one of the three main hills of San Sebastián. You will get the best views of La Concha, admire Sagrado Corazón and probably the best views of the city there. Historically, this hill has military importance, in the 12th century it was a fortress surrounded by a wall which nowadays still preserved. Besides admiring the wall, staring at one of its viewpoints it’s a must. 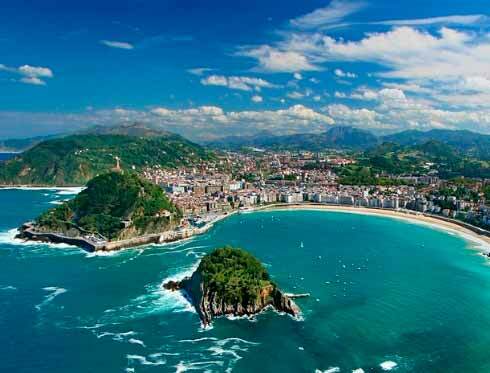 On the four slopes of this hill people can get the views of The Concha Bay or Monte Igueldo. The geographic situation of Monte Urgull offer striking views of sea and the city. Sagrado Corazón, also known as Cristo de la Mota is the custodian of the city. It rises on the top of the hill standing on the castle known as Castillo de la Mota. Inside of Castillo de la Mota people can find Casa de la Historia de Urgull, a museum that will help you to immerse into the more than 800 years of history of San Sebastian. 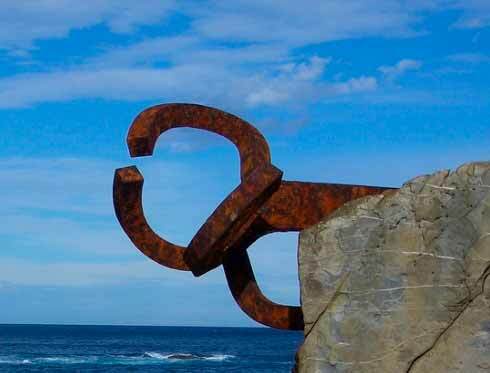 In Paseo Nuevo there is a spectacular sculpture that worth to be seen, especially in days of strong waves. Jorge Oteiza's “Construcción Vacía” is a treasure of contemporary art. 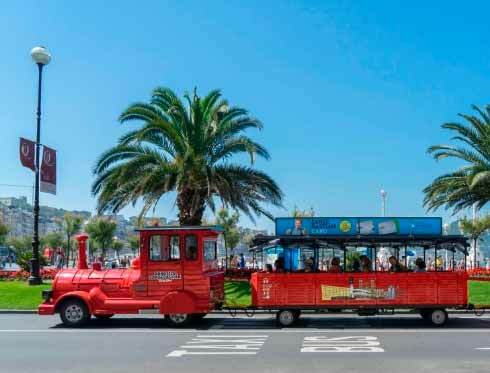 Other emblematic points of Monte Urgull are the Fishing Port, the Naval Museum, the Aquarium or San Telmo Museum.